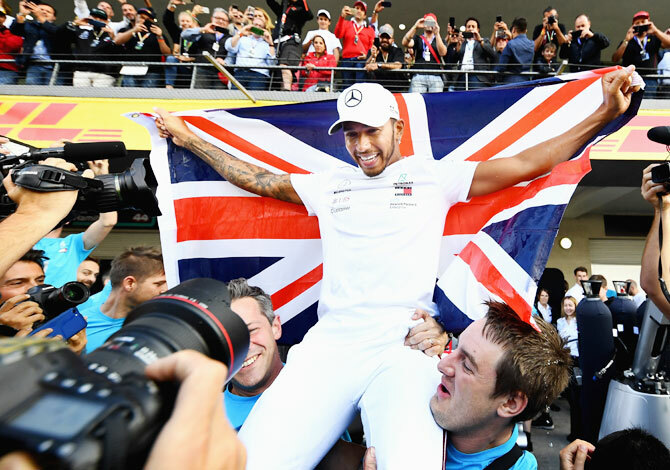 Lewis Hamilton celebrated his fifth Formula One world championship and joined an elite trio of greats on Sunday after a Mexican Grand Prix won by Red Bull's Max Verstappen for the second year in a row. "It's something I dreamed of, but I never in a million years thought I'd be stood here as a five-time champion," the 33-year-old told Sky Sports television. "I'm so grateful for everyone who helped me be here, to raise the bar and lift the cup. 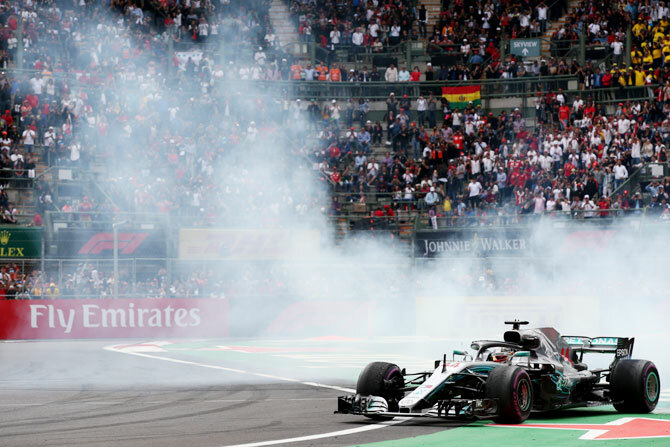 "I think he drove superbly all year and was the better one of us two," said the German, whose season unravelled after the August break. "I told him 'well deserved' and to enjoy it. Number five I think is something incredible. Australian Daniel Ricciardo, Verstappen's teammate, retired from the race with a smoking engine after starting from pole position. 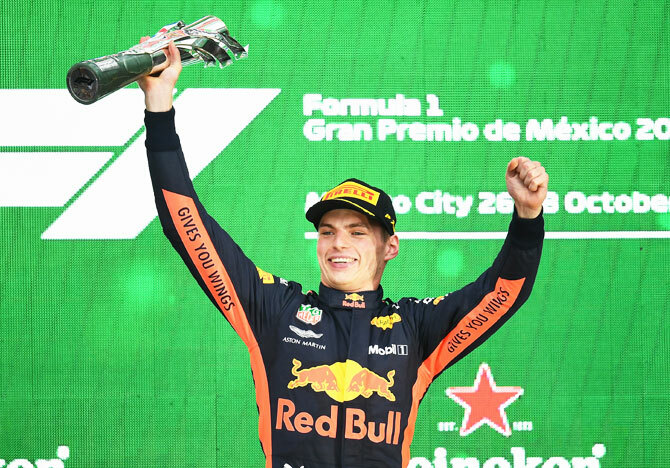 "It was a shame to lose Daniel," said Verstappen, who had been angry on Saturday after missing out on pole. "I think we could have had a one-two or at least two cars on the podium." "There's nothing left guys, these tyres are dead," Hamilton said after running off the track on lap 47. His Finnish teammate Valtteri Bottas finished fifth but lapped by Verstappen.